Flight and hotel are booked for Minneapolis May 7th – 10th. We might have room for 1, MAYBE 2, cars depending on their setups. Deposits and travel costs required. We’re also going to be in Las Vegas May 21st-25th. PLEASE READ BELOW FOR INFO ON THAT TRIP. I will be in LV an entire business week, Monday May 21st – Friday May 25th and i will be available for tuning, programming, troubleshooting, etc etc. Because this is a business trip and not exclusively a tuning trip, we will NOT be charging the travel costs usually associated with tuning trips. being there an entire week will give us time to going over things more in depth for our customers than just a 1 day or weekend trip. Several of you have asked when we’ll be out there so this is your chance to also save a few bucks. Deposits required. 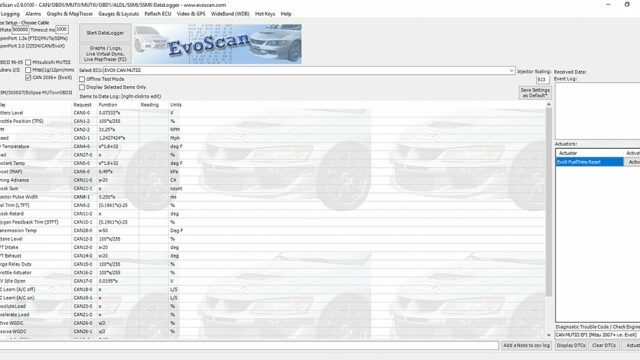 Tuning Mitsubishi, GTR, Nissan/Infiniti, BMW, Mazda, Audi, Ford, and hundreds of other applications also with EcuTek, Tactrix, Cobb AP, UpRev, HP tuners, ECM Link, etc etc etc. We now support thousands of ECUs so if you or someone you know is interested in tuning just about ANY car, ask us so we can go over options and pricing. These dates are already booked and set so we’ll be out there regardless of the amount of people who sign up or the type of work being booked. On another note, I am no longer tuning for RRE so things are much more flexible and we can offer products and group rates on parts pricing as well. Please comment or PM RALLInspired Performance if you’re interested so that my team can set things up for you.